Welcome to the MAGS web site! The MAGS officers are excited to be able to present a new on-line look for our organization. You will find many new features on this site. The site also provides us a better ability to manage our membership and communicate with our members. 16 Apr 2019 MAGS is no longer selling the John Humphrey Pennsylvania Births series of books. All of our remaining inventory was sold to Heritage Books. 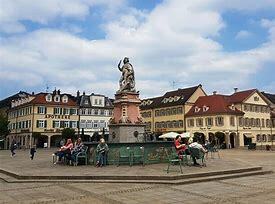 30 Mar 2019 A new record guide for the American consulate at Fürth has been posted to the members-only website. It can be found under the Members tab, then Documents and Reports, then Consulates - Research Guides. 1 Mar 2019 The March issue of Der Kurier has been posted to the website. Once you login, select the Members tab and then Recent Der Kurier Issues under that heading. 5 Feb 2019 Reports from the recent board meeting have been posted in the Documents and Reports section under the Members tab. This website is dedicated to those of German ancestry. Some are recent arrivals, but for the most part, these pages contain information about our ancestors that arrived in America many years ago and settled in Maryland. The site is divided into several sections. The Biography section contains many persons that have paved the way for life as we live today. Some made very important contributions to Maryland and to the United States. I am always looking for additional profiles. Every story is important. Whether your ancestors were inventors, manufacturers, brewers or a stay at home Mom, they all contributed. Their every step paved the way. 26 Oct 2018 Online registration for the MAGS Spring 2019 workshop and conference is now available on the MAGS Store page. 8 Aug 2018 Five new or updated databases have been added recently. They are located on a separate page from the other databases while we wait for an upgrade to our hosting platform. You can read their descriptions and access them from the main database page or from here. 3 Aug 2018 The MAGS Ahnentafel book that was published in 2001 is now available online for members only. The PDF file is fully searchable. After you login, please click on the Surname Research box in the left margin, then MAGS Ahnentafel Book under that topic. Minneapolis was a great success. Please join us in California! MAGS will periodically display images of interest, including postcards, letterhead, and other historical documents discovered at the National Archives and other locations. Check back frequently to see what's new. In addition, members have access to an image gallery and library of images to browse. Germans are so obsessed with spargel (white asparagus), there are facebook groups and websites dedicated to the königliche Gemüse ("King of Vegetables"). 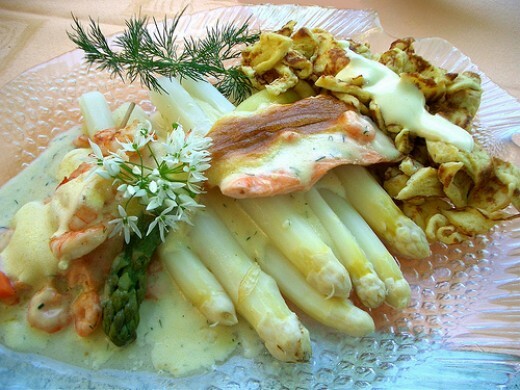 In season, Spargel is on every menu and grocery store aisle during the spring spargelzeit. It is deliciously unavoidable. Read more at this website.